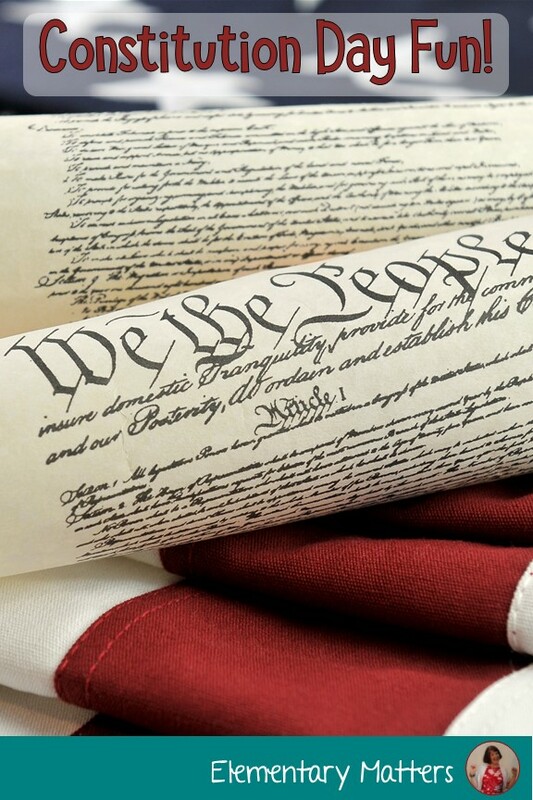 I love going all out for Constitution Day! 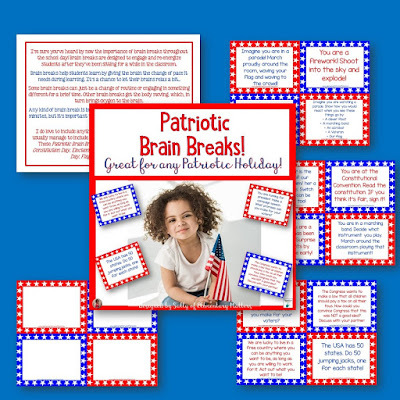 My students wear red, white, and blue, and the whole school recites the pledge together, outdoors at the flagpole. 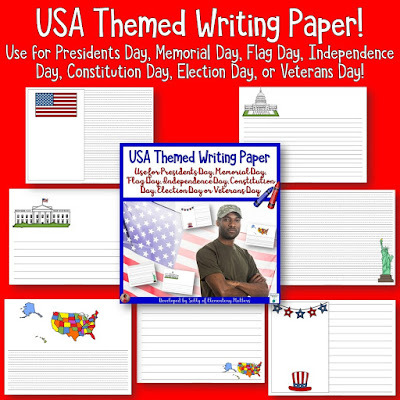 We have 1700s USA flags for the kids to color, and copies of the school promise to sign with a quill pen. Sometimes even George Washington and Benjamin Franklin stop by the classrooms with a little skit about the signing of the Constitution. Here's one of my favorite Schoolhouse Rock Videos! 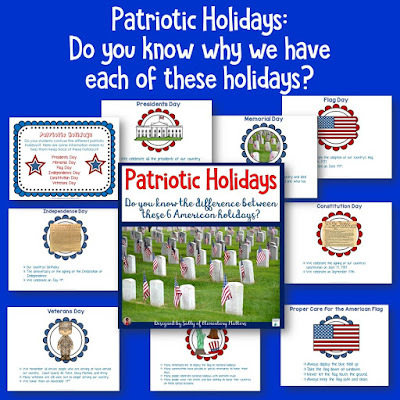 Here's an explanation of 6 USA holidays, and some suggestions on how to celebrate our country. 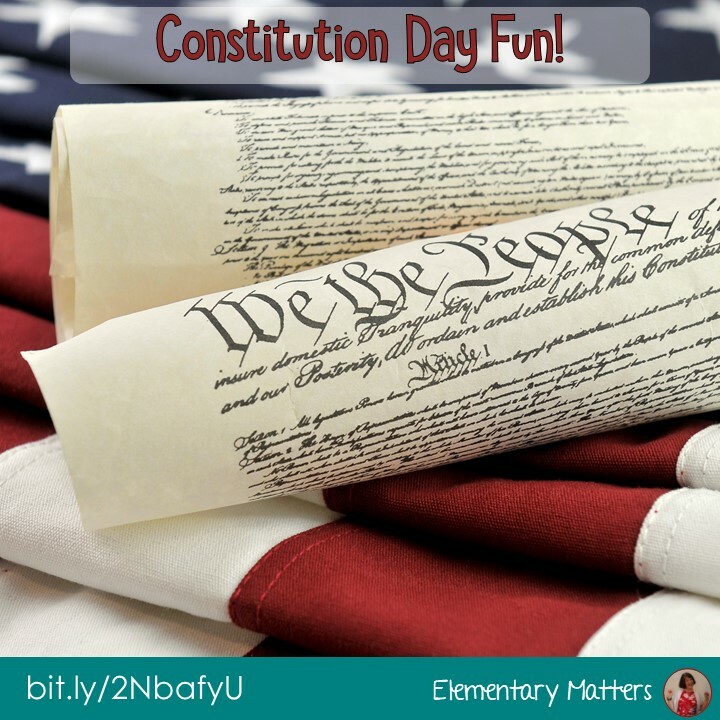 Look at all the cool stuff I found when I did a Constitution Day search on Pinterest! What are your ideas for fun on Constitution Day?